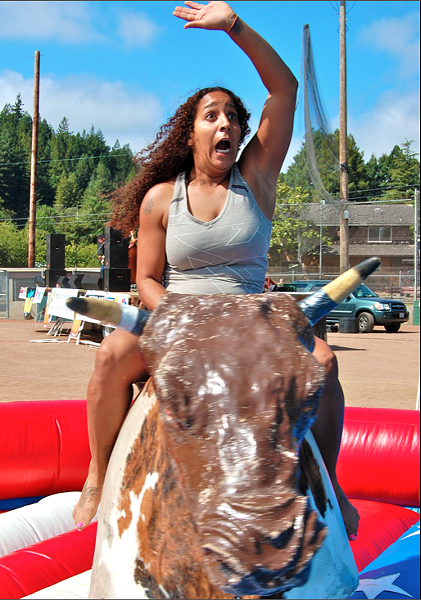 If you missed the sudsy action at Hops in Humboldt this weekend, first of all, shame on you. There was beer. 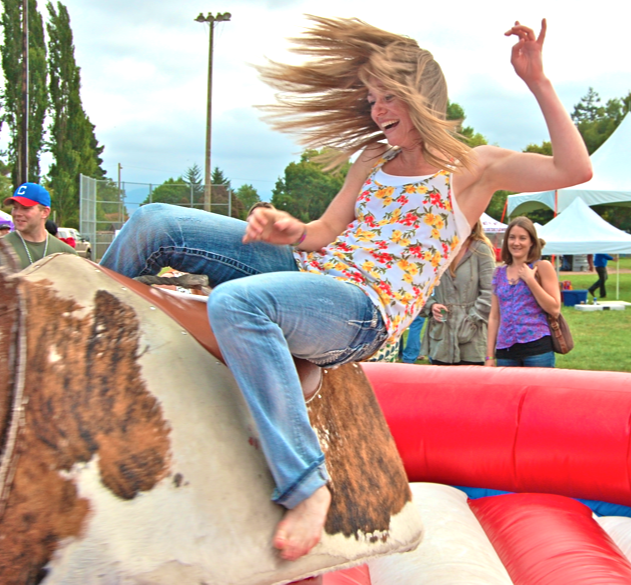 In addition, this year's festivities were enhanced by the presence of a bucking, gyrating mechanical bull. Many an event attendee took advantage of their liquid courage and embarked on a futile attempt to tame the restless beast. Join in these amateur cowboys' brief fame by viewing too many slightly embarrassing photos on our Facebook page. Yee to the haw.